Go bleach blonde and minimise the damage – it can be done! WHY SHOULD I GO PLATINUM BLONDE? WILL PLATINUM BLONDE HAIR SUIT ME? 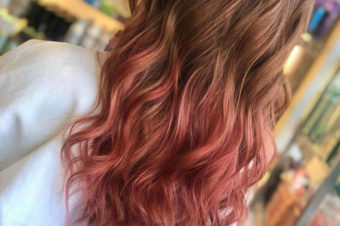 HOW SHOULD I PREPARE MY HAIR FOR BLEACHING? WHAT HAPPENS WHEN MY HAIR IS BLEACHED? HOW SHOULD I LOOK AFTER BLEACHED HAIR? Your hair will be very sensitive after being treated, so make sure you’re ready to give it some serious TLC. Alex recommends using scrunchies rather than elastics, which put pressure on the hair and can cause it to break. Repairing hair masks will be your new best friend, and make sure you use plenty of moisturising products. You might also find that you need to wash your hair less, as too much shampoo can draw out the natural oils. But when you do wash, reach for the silver shampoos with purple hues – these will banish any brass. 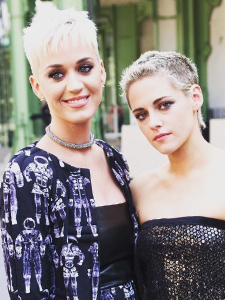 At Paris Couture Week, both Katy Perry and Kirsten Stewart’s crops were treated to the Charles Worthington Colour Enhancer Ultra Violet Shampoo by Ken O’Rourke. 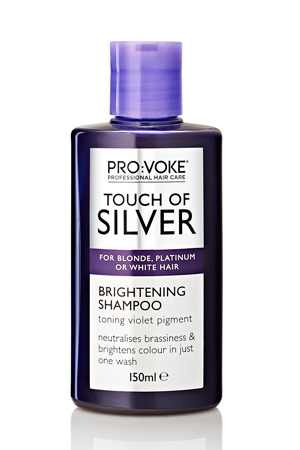 This claims to be the strongest violet-toning shampoo on the high street, so perfect for keeping your blonde shade cool. 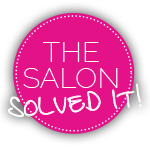 HOW OFTEN SHOULD I GO TO THE SALON? 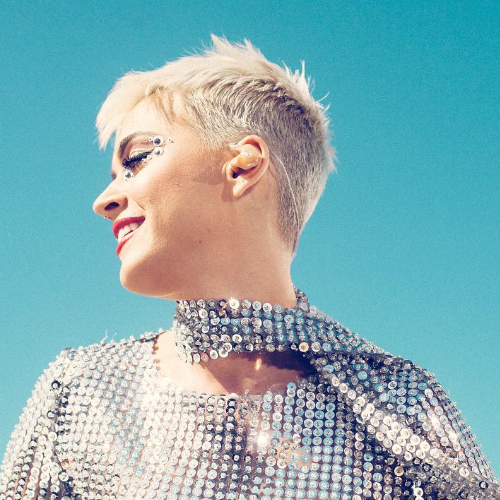 Bleach blonde hair is notoriously demanding, but you can keep it fresh as long as you follow these rules. Unfortunately you will have to get used to living with some roots, as bleaching too often is incredibly damaging, but leaving it too long will risk creating a band of brassiness which you will have to bleach twice, undoing all your hard work. Getting your roots done four to six weeks after is optimum, according to Alex. Then, eight weeks after your bleach treatment, it’s time for a trim. 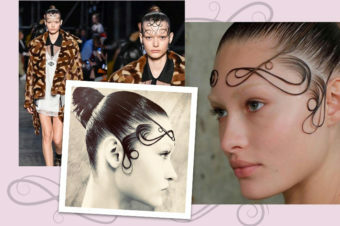 “This will refresh the cuticle, get rid of split ends and keep your hair looking healthy,” Alex says. 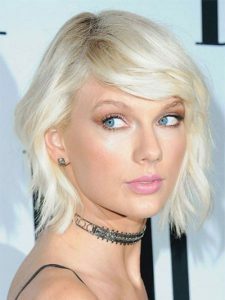 WHAT ARE THE BEST PRODUCTS FOR BLEACHED BLONDE HAIR? 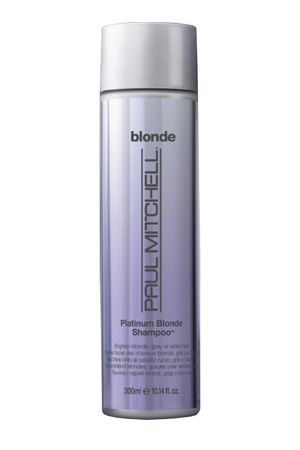 Save your blonde from becoming brassy with a specialised shampoo, which will neutralise the yellow tones in your hair. 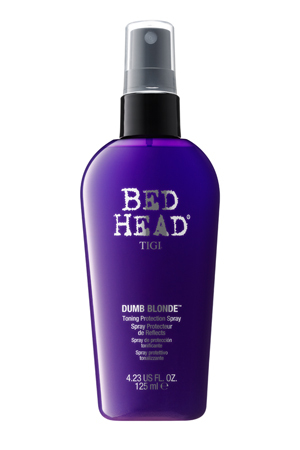 If you’re looking for a high street bargain then you can’t go wrong with Touch of Silver, £3.19 which neutralises yellow tones in one wash.
TIGI Bed Head Dumb Blonde Toning Protection Spray, £15.50 not only shields your hair against heat but also gives your colour a bit of oomph.